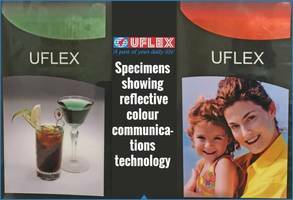 *Business Wire India*Getting a metallic sheen on a non-metallic substrate sounds rather uncanny, but owing to the reflective colour communication system offered by the Cylinders Business of India’s largest multinational flexible packaging materials and solution company Uflex, this has become a reality. This special cylinder for metallic effect is manufactured as half tone image. Over and above this, if we eliminate the white printing cylinder (as white ink is opaque having solid pigment concentration) altogether, this arrangement translates to much *less *ink consumption which is a boon for the printer.